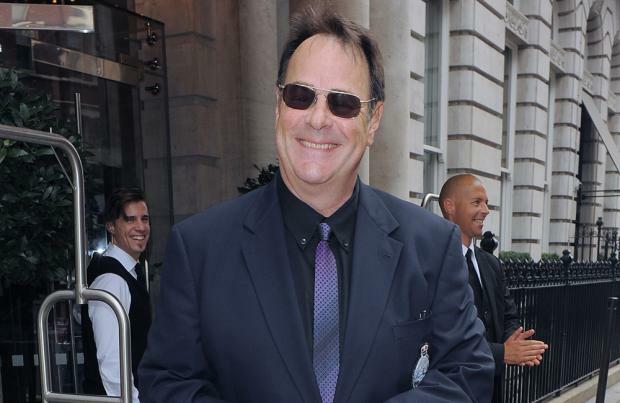 'Ghostbusters' star Dan Aykroyd has revealed Bill Murray has a high "bulls**t detector"
Dan Aykroyd thinks Bill Murray has a good "bulls**t detector". The 63-year-old actor appeared alongside Bill in the 'Ghostbusters' franchise and has revealed he bears no grudges towards the Hollywood star after he declined the chance to appear in a third movie. The Hollywood duo are both returning to the franchise for cameo roles in the new female-driven reboot, and Dan is confident the film will do justice to the earlier movies. Dan told Entertainment Weekly: "None of us lobbied to be in the third movie. "We all felt that this [director] Paul Feig concept was so strong that we didn't have to be in it. But he called me. And of course, I said, 'I want to help in any way I can.'" Meanwhile, Bill previously claimed he was reluctant to return to the franchise because the second 'Ghostbusters' movie was less well received than the original. However, he has since accepted a cameo role alongside Melissa McCarthy, Kristen Wiig, Kate McKinnon, Leslie Jones and Chris Hemsworth in the new movie.